My gaming system of choice has to be my PC. Since building my own setup (spec coming in a later blog post) I”ve hardly played anything else. Mainly because the games are far far cheaper.\r\n\r\nAll hail the Steam sales!! !\r\n\r\nThe graphics are better, I don”t have to use the living room TV and annoy my girlfriend whos trying to watch Coronation Street, you can get into it more when the screen is closer to you and most of all, the game selection is so much better with plenty of free/cheap brilliant indie games being released all the time. Having three monitors also allows me to game whilst doing other tasks waiting to re-spawn which is very often. It”s not always been like this though. 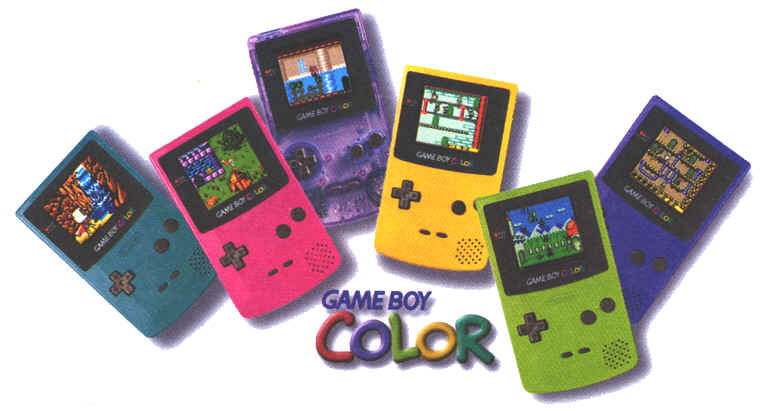 Let me guide you through some of my gaming system history and my opinions on each one.\r\n Gameboy (Original / Colour)\r\n\r\nThis has to be my all time favorite gaming system just because of the pure joy this device gave me for so many years of my life. Mainly because of Pokemon. They dont make them like they used to, I dropped, kicked, threw, spilt juice over this so many times and it still continued to play. I had the original for some time then the blue version to match my cartridge of Pokemon Blue. I plan to find mine or buy one for my son when he is old enough just so he can truly value the modern era of games and one of the very first icons of gaming history.\r\n\r\nPlayStation 1 & 2\r\n\r\nMy second console after a Sega Megadrive was the very first PlayStation. Looking back I”m surprised I wasnt bought a SNES or Nintendo 64 due to my love of the Gameboys but my uncle owned a PlayStation and I was always at his house on that beating him at various games when I was about 10 so I got a PlayStation one Christmas of Santa. My life was complete. I owned that PlayStation for many years even after the PlayStation 2 was released because my mum couldn”t afford one, I wasn”t that bothered I still loved it. Naturally I progressed to a PlayStation 2 after that as I had no problems with the original this was great for playing movies on controlling it with your pad. Spending the Summer holidays in my mates caravan playing hours and hours of games was what I remember most about the PS2, those summers where the best.\r\n\r\nXbox 360 \r\n\r\nAs I got older I got a little more curios with other consoles so I got myself an Xbox 360 with some birthday money because I wanted a new console first before any of my mates as I”d never had that before and the PlayStation 3 was going to be way to expensive. I enjoyed the overall experience and although you had to pay for Xbox Live it was worth it (console wise) and still think this now when I see my brother with all his friends on it (little screaming kids calling each other nOObs) but as so many people have had before me and will continue to have. The Three Red Rings Of Death. This annoyed me dearly so decided to move on.\r\nPlayStaion 3\r\n\r\nAll I can really say about this now is “great media center” because that”s all I use it for. Since buying it some time ago I”ve hardly bought any games due to the price, nor has any of my friends which is what I love most about gaming. It sits there as an expensive DVD player as I only own one BlueRay anyway and the only game I”ve bought in the last year for it was Pro Evolution which I regret not buying for PC.\r\n\r\nI do look forward to seeing the new era of games consoles and the architecture used but the thing that excites me most is the fact that PC games sales are only going to get stronger and stronger whilst console games decrease. I”m doing all I can to promote PC gaming to anyone who will listen.\r\n\r\nIts unfortunate but true. Console gaming is dying.